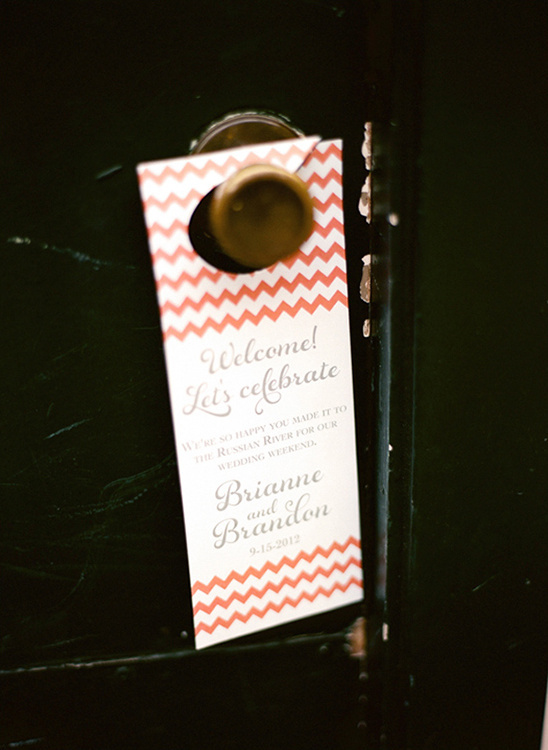 Brianne and Brandon grew up in the Bay Area and while they wanted to have their wedding in the area, they wanted their special day to have the feel of a destination wedding — where they and their guests could feel like they were on vacation. 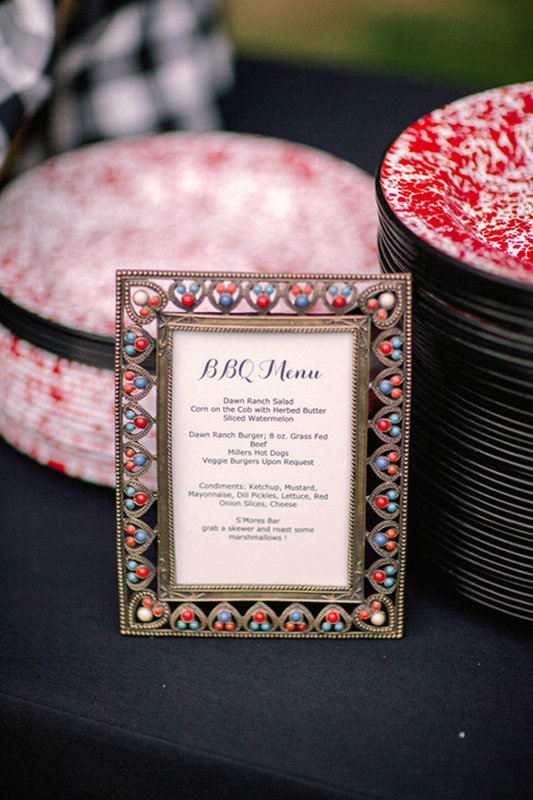 They found the perfect venue in Dawn Ranch Lodge, which provided them with an entire weekend of wedding fun with their guests. 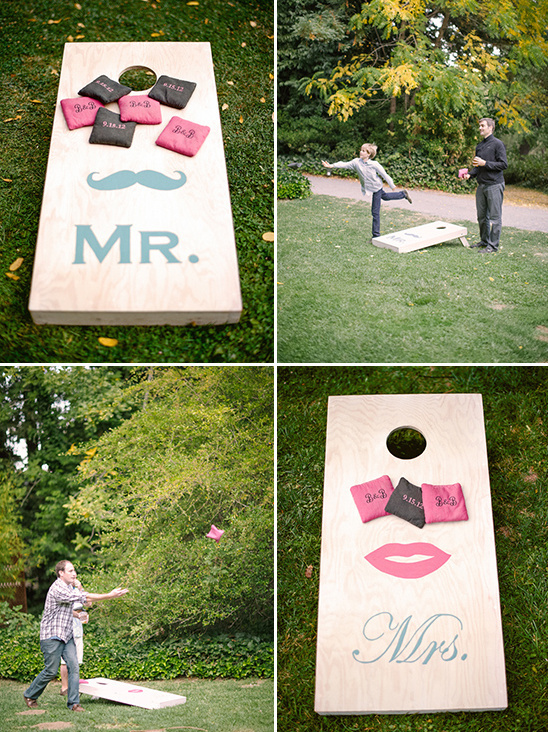 To kick off the festivities this couple threw a BBQ for all of their guests at the boathouse, which included lawn games, an all American BBQ and beer served in mason jars. 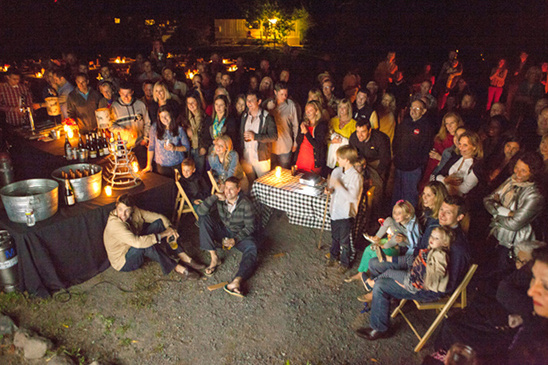 All of their guests enjoyed great music and ended the evening appropriately with a bonfire and s’mores. Sounds perfect to us! 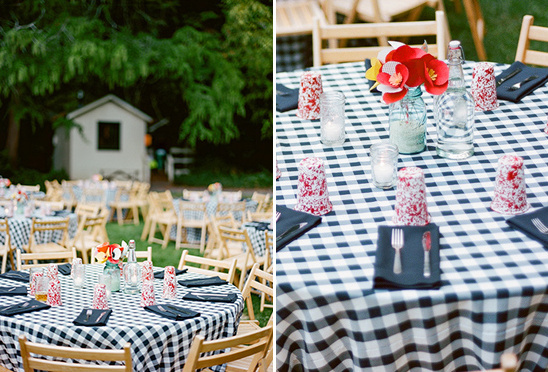 Read on to hear more tips on how you can throw your own welcome wedding BBQ and, as always, check out the full gallery here. All captured by Matt Edge Wedding Photography. 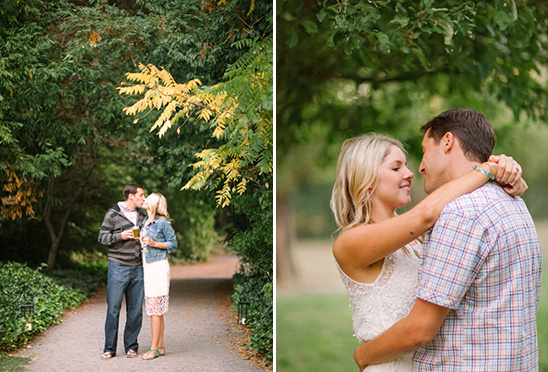 Be sure to stay tuned — we have Brianne and Brandon's wedding coming up next. 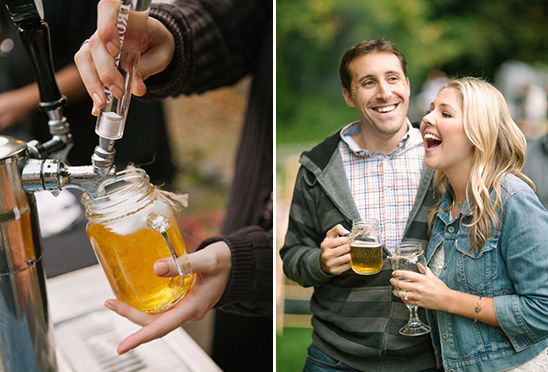 Mason jars are always the perfect vessel to serve drinks in! 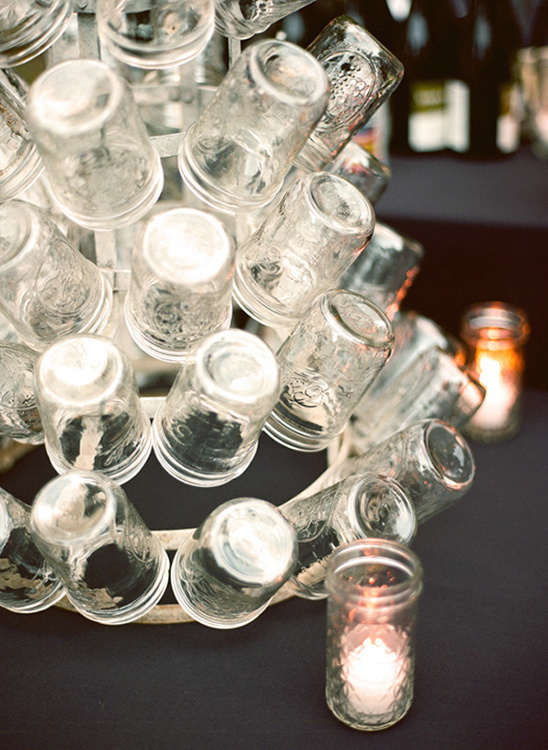 To fancy up the drink display a mason jar glass tree holder was used, and we want one of our own. 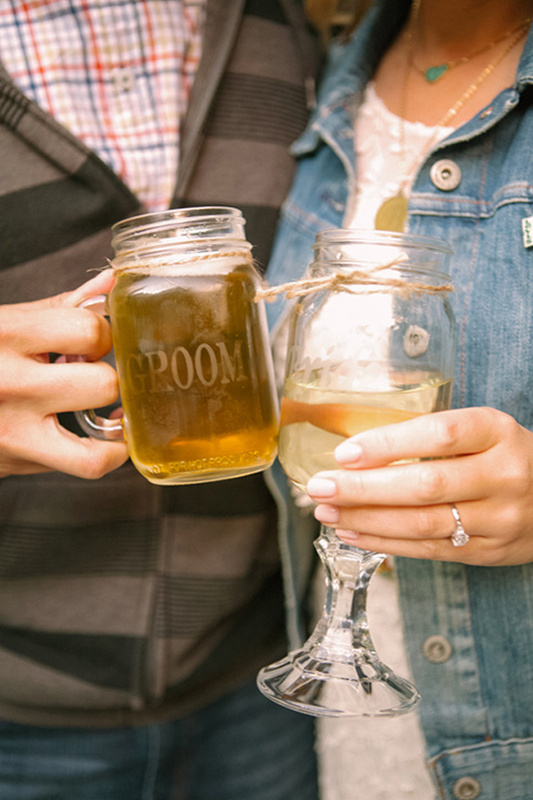 Of course Brianne and Brandon had their own Bride and Groom mason jars from Etched Expressions. Guests enjoyed ice cold beer from a tap along with other beverages. We are most certain that they had some fresh lemonade for the non-beer drinkers. 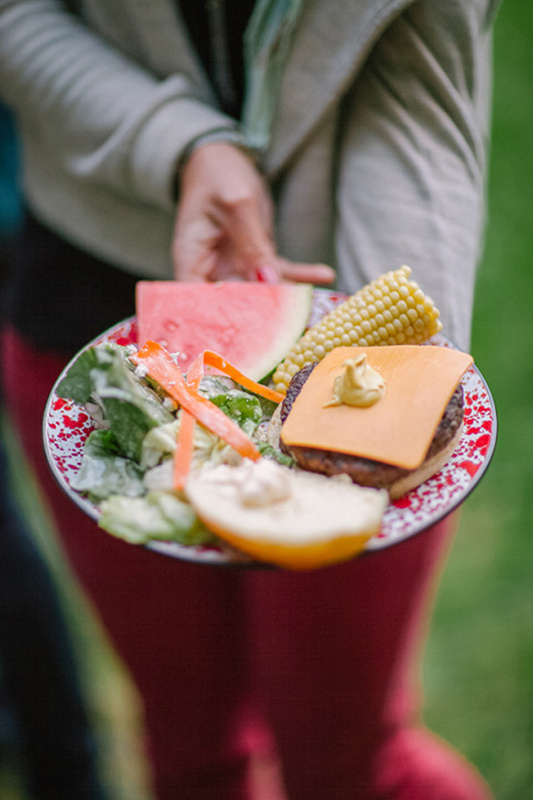 BBQ Menu from Dawn Ranch Lodge: Dawn ranch salad, corn on the cob with herbed butter and sliced watermelon. 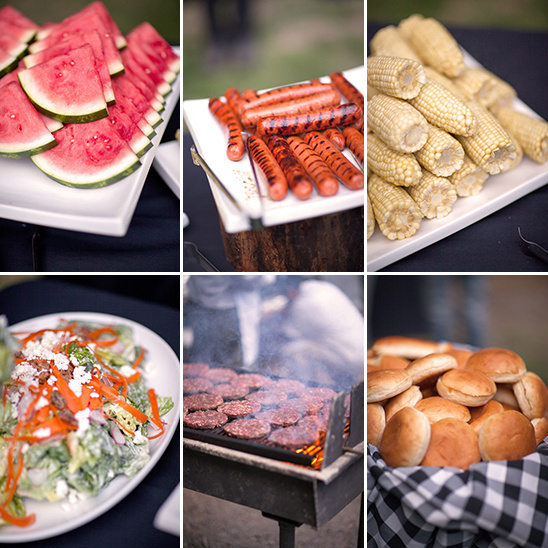 A grass feed dawn ranch burger, hot dogs and veggie burgers upon request. 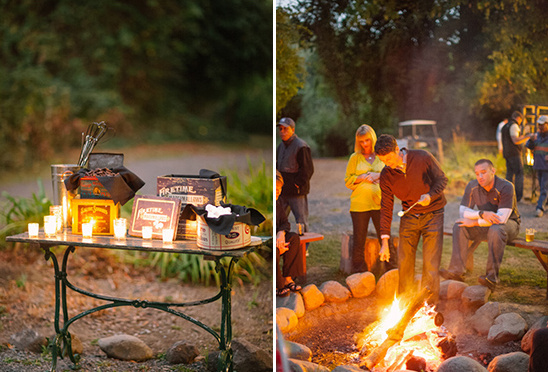 To end the evening guests huddled around a fire and made s’mores. From the Bride:The most important thing to us for our wedding weekend was to have a place that all of our family and friends could be together for an entire weekend of activities, and wedding celebrations. 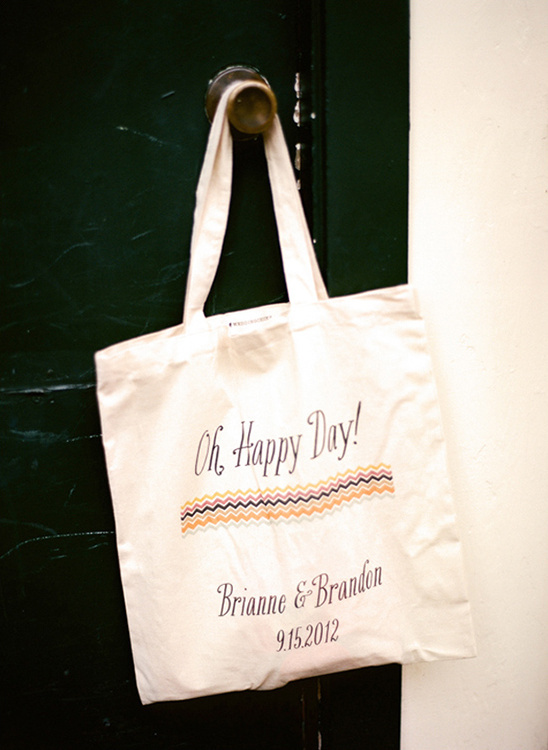 Being from the bay area it was also important for us to get married near our roots but find a venue that felt like a getaway destination for guests coming from out of town. 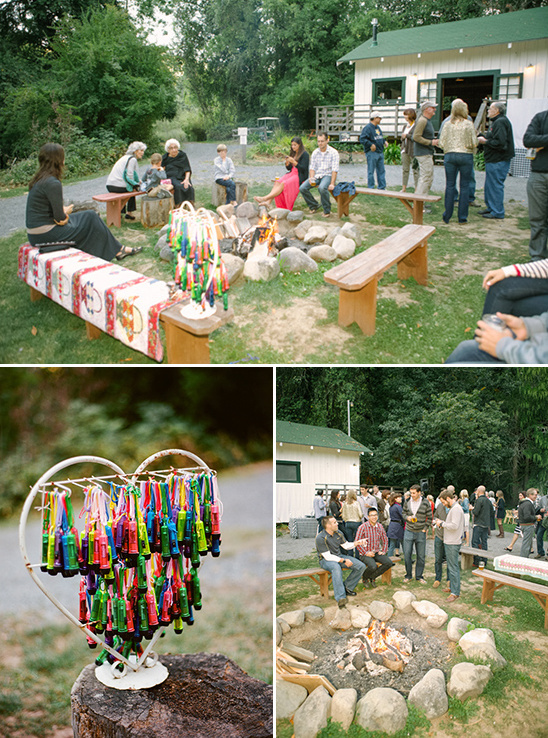 The first time we walked through Dawn Ranch Lodge we knew we'd found all of that and more. Feeling like an adult summer camp from Dirty Dancing, Dawn Ranch has amazing history and character as well as a modern rustic elegance. 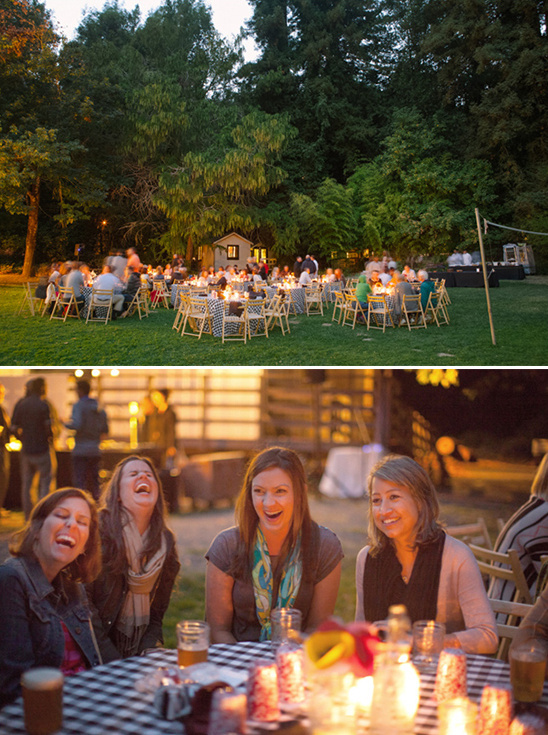 All of our events could be held outdoors on the beautiful 15-acre property. 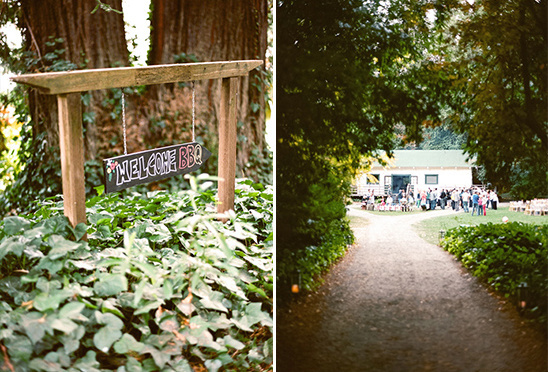 Right on the Russian River nestled in Guerneville, we knew this would be a perfect fit for our summer wedding. 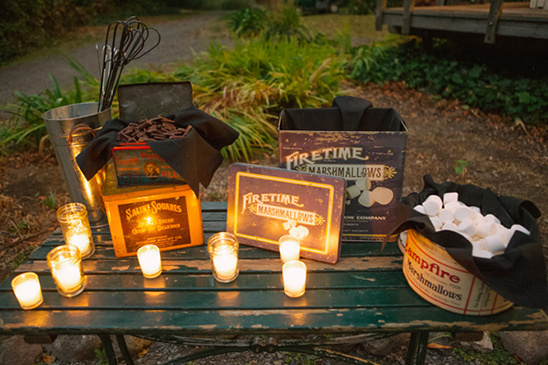 Among our many trips to the Alameda Flea market to find treasures for the wedding we found these adorable vintage tins that we used for our s’more bar. We set out a bunch of quilts around the fire for when it cooled down as well as mini flashlights to help guests find their way to they’re cottage at the end of the night. My mom made a special slide show with pictures of us from growing up to fun pictures of us when we first started dating that we all watched as it got dark. It truly was a night of love, laughter, kind words from family and the feeling that this was going to be a really special wedding weekend with all of our favorite people.